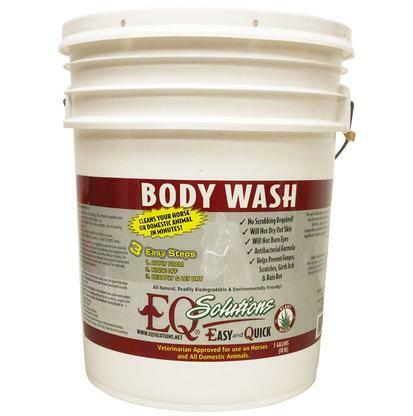 The EQ Solutions Foaming Tool produces a thick, rich foaming action that gives a deep clean. It saves time and it's wide mouth allows quick and spill free filling. 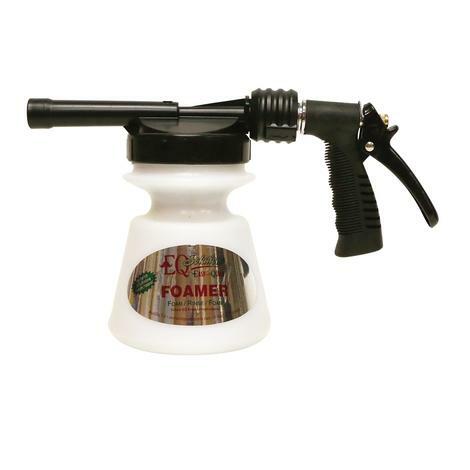 Quick release nozzle makes cleaning simple and fast. 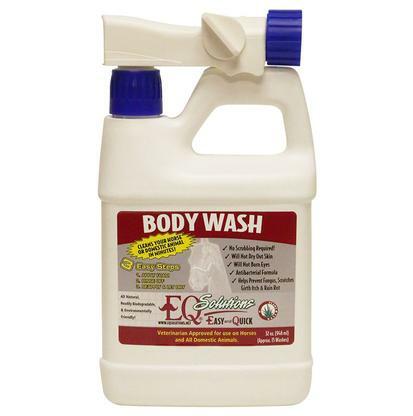 EQ Solutions Body Wash is an antibacterial equine grooming product formulated for horses and other domestic animals. This product requires no scrubbing. Since it’s nontoxic, it will not dry out skin or burn eyes. Simply apply the foam, rinse it off, reapply, and let it dry. 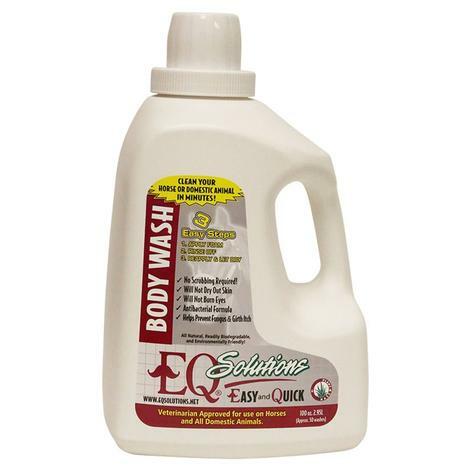 EQ Solutions Body Wash 100 oz.